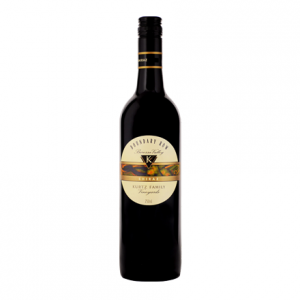 The Boundary Row range of wines is named after the Barossa tradition of using vine rows rather than fences to distinguish the different owners of adjoining vineyards, with fruit from the boundary row shared between the neighbours. As with most Kurtz Family Vineyard wines, Boundary Row wines are held back and released 3-4 years after vintage. Vineyards: Fruit was sourced from vines varying in age from 10 to 88 years old, with the majority of Grenache from 88 year old, dry grown bush vines from Kalimna. The vines receive minimal or no irrigation and are pruned for low yields to provide vine balance, maximum fruit quality and varietal characteristics. Vintage Conditions: Good winter and early spring rains set the vines up well, but windy conditions during fruit-set and unseasonal November frosts lowered yields. Warm days and relatively cool nights in late spring and summer, and a cool mid-February with heavy rains, delayed harvest and lengthened ripening. Reds are rich and varietal with great colour and structural line. Winemaking: Varieties were fermented separately for 7-10 days on skins. Post malo-lactic fermentation, Shiraz and Mataro were blended with the Grenache to build complexity. Maturation for 24 months in aged French oak has further enhanced the blend. Nose: Complex savoury aromas of fennel seed and five-spice combine with ripe red-currant fruit characters and aromatic florals. 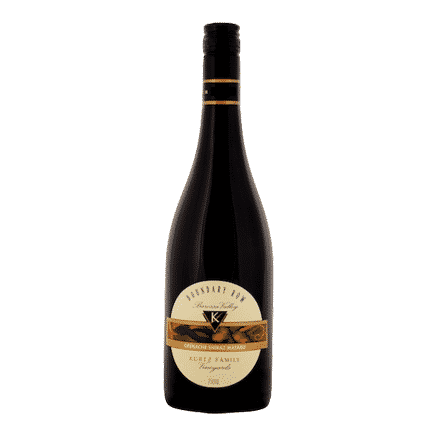 Palate: A plush, juicy, full-bodied palate with mouth-filling fruit flavours of dark blood-plum, cranberry and pomegranate. Fine, structural tannins balance the fruit and draw it through to a lingering finish. Peak Drinking: Although suitable for current consumption, this wine will continue to improve for a further 4 to 5 years with careful cellaring. 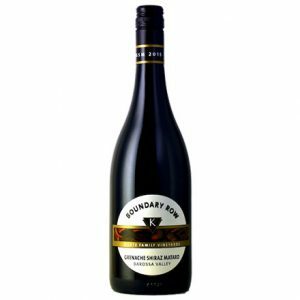 Food Match: Boundary Row GSM is a great match with grilled, pan- fried or roasted meats, game birds, rich poultry and other full-flavoured dishes.